Put your ear to the ground and you will hear the sound of stomping gumboots! It will send excited South African gardeners, big and small, young and old, experienced or ‘green’, marching off to their nearest garden centre where they will find seedling tables groaning under annual and vegetable seedlings, and beds heavily stocked with perennials in season, groundcovers, ornamental grasses and all the other stalwarts of spring and summer, to plant. So, say “welcome” to one of the most beautiful months of the year with flowers galore, and a potential summer harvest of fresh veggies and herbs beginning to grow up in the veggie patch! Falling blossoms followed by tiny fruit on the fruit trees are an early promise of something sweet to feast on later. The first strawberries are getting their lipstick on shyly amongst the leaves, and the sweet scent of star jasmine is in the air. October is also time to feed all your plants and to protect your mid-spring treasures against pests and weeds. 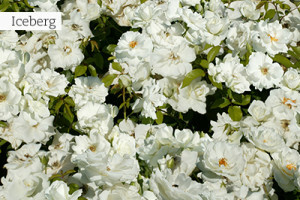 October is known as ‘rose month’ and the iconic ‘Iceberg‘ is probably the best-selling rose ever! Hard on its heels is a cousin called ‘Burgundy Iceberg‘ – equally free-flowering with blooms in rich jewel-like colours of burgundy with disease-resistant, healthy foliage. You simply have to plant some – even if it is only one in a pot! 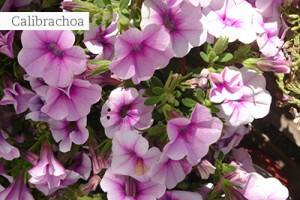 For instant colour go for calibrachoas which sport a mass of miniature petunia-like flowers. All nurseries will have them in stock in ‘colour pots’ and all you have to do is to fill all your containers, hanging baskets and window boxes with them. They are value for money as they flower endlessly in full sun and you will be surprised at the large range of colours and growth habits. 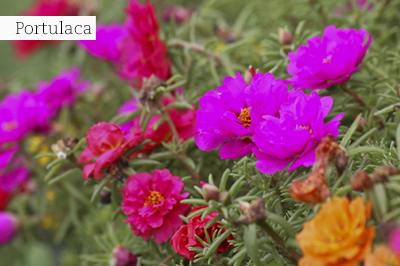 Hot tip: Feed calibrachoas twice a month with a water-soluble fertiliser to keep them in full flower and do not over water, as they hate constantly soggy soil. 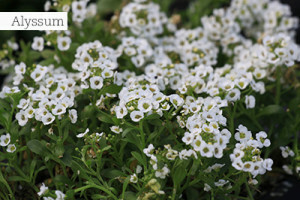 Ready-to-plant annuals in seedling trays are definitely the fastest and cheapest way to turn any garden into a garden of Eden and at this time of year, you are spoilt for choice. Flower seedlings to plant with abandon today include: petunias, lobularias (allysum), gazanias, penstemons, Chrysanthemum paludosum and C. multicaule, Sunpatiens and celosias for sun. In shady areas, plant seedlings of New Guinea Impatiens, begonias, impatiens (Busy Lizzie) hypoestes and coleus. Not being pulled out by their stems – push them gently out of their punnet from below, with a pencil or stick and firm them down gently in a planting hole that fits the size of their root balls. Pinching out their growth tips as they go along, to make them bushier. Regular feeding of lawns with a granular lawn fertiliser spreader (to be used according to instructions given on the product) and by hand out of a bucket for garden beds. Dead-heading in support of continual flowering. Remember to put out cutworm bait after planting young seedlings. Large seeds – place a piece of chicken wire over the seed tray to make a template for sowing evenly. Use one seed per hole. Small seeds – fine seeds such as petunia or lobelia can stick to your fingers and are difficult to spread out. Mix them with dry sand or bread flour in an old flour shaker and shake the mix lightly over the moistened soil. 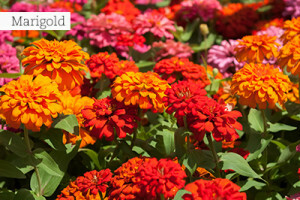 Flowers to sow now include annuals like cosmos, marigolds, portulacas, zinnias and sunflowers. Remember to add ornamental grasses to your garden as they will supply a lovely show in late summer and autumn. 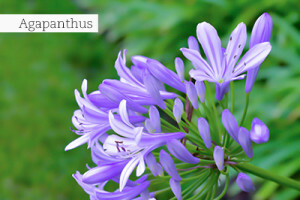 Perennials to plant in all regions include: agapanthus, gauras, nemesias, osteospermums and geraniums of all kinds. Also go for gypsophila and masses of pretty but tough angelonias. Plant more summer-loving perennials like alstroemerias, agapanthus, gauras, penstemons, columbines and echinaceas. Stalwart of the October garden must be Trachelospermum jasminoides (star jasmine). This versatile creeper with its glossy dark green foliage and aromatic, pure white flowers, can be used to trail over pergolas and fences and if planted en mass, as a fast-covering ground cover under trees. It also grows fantastically in pots and can even be pruned into a weeping standard. 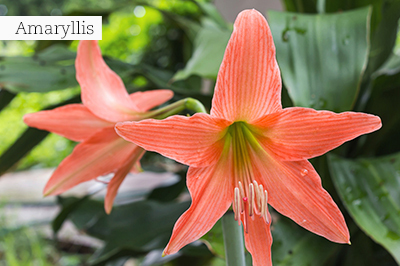 Plant Amaryllis in pots: Use good quality potting soil that drains well and pots that are just a little bigger than the bulb’s own width. Beware the planting depth: The bulb’s ‘shoulder’ must protrude above the soil surface and the ‘nose’ should reach just above the pot’s rim. Keep the pots in a warm, well-lit position and the soil always moist. Lawn care: Correct small irritations on the lawn (like bald patches) now, by digging out a piece of turf surrounding the bare patch, and replacing it with one of the same size and shape taken from a less visible part of the lawn. Fill in the excavated piece from where you took the turf, with fine compost, level and re-seed, or plant a few runners of plugs to cover the area again. Hollows and bumps can be fixed by cutting out the turf in the affected areas and either taking some soil away in the case of bumps, or adding some compost to level out a hollow. Gently re-place the piece of turf and tamp down lightly with the back of a spade. In shady or other areas where it is difficult to grow the usual lawn types, you can consider the following alternatives which are flat growing, fairly hard-wearing and need no mowing: wonderlawn, penny royal – good for wet and shady areas and daisy lawn for sun and drier conditions. Combat fungal disease and encourage strong root systems by watering deeply, early in the morning. Spectacular succulents: Clean up succulents like echeverias and Kalanchoe thyrsiflora which will have stopped flowering, and divide and replant the babies in other parts of the garden. Carrots – sow seeds directly several times from spring to autumn to ensure a continuous harvest. The soil must be cultivated deeply to make it loose and friable. Cumbers – sow seeds directly. The plants will need sturdy stakes to keep the fruit off the ground. Green beans – plant seeds of bush types which are easier to manage. Lettuce – keep on planting oak and loose leaf lettuce seedlings – available in trays from your local nursery. Radishes – sow small amounts directly throughout summer. Squashes and baby marrows – sow seeds directly. As soon as they emerge, they need to be thinned out to allow ample space for you to trail them up some obelisks made of poles. You can also trail them over a wire fence. Sweet peppers – plant seedlings from your nursery. Tomatoes – plant seedlings from your nursery. Tomato seedlings should be planted deeper than they originally grew in their nursery trays. The plants will be more anchored and sturdier and roots will develop along the buried portion of the stems. Pinch off the lower leaves when you plant them. 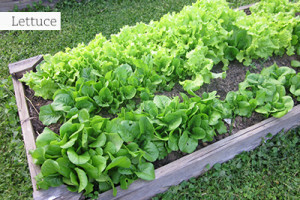 Spinach – plant a few rows of spinach every few weeks to ensure a continuous supply. Feed young veggies every two weeks with a water-soluble fertiliser and keep a sharp eye on germinating weeds between the rows. Put out snail bait amongst strawberry plants and provide a mulch of straw, coarse clippings, or weed matting to prevent the fruit from touching the soil. Pick the fruit frequently to encourage new ones. Water all citrus trees deeply, once a week. Thin out peaches, nectarines, apricots and plums when they are about pea-size. 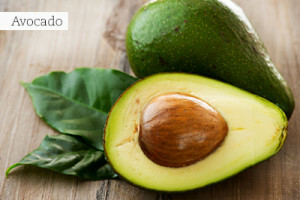 They need a second application of a general fertiliser suitable for fruiting plants. Continue spraying and baiting against fruit fly and codling moth. Sow more parsley, chives and basil seeds in pots to keep on a sunny kitchen windowsill. A lovely tree to plant is Peltophorum africanum (weeping wattle). It is evergreen with a spreading growth habit and produces large sprays of bright yellow, crinkly flowers from October to late summer. The nectar and pollen rich flowers invite a wide variety of insects and birds to the garden. Young trees which are treated well with lots of compost and regular watering, will grow fast. The root system of this tree is not aggressive. 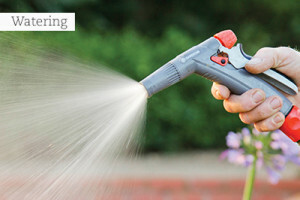 Watch out for insects such as aphids, mealy bugs and whitefly on soft new growth and control with the correct insecticide – light infestations can simply be chased away with a strong jet of water. Apply a liquid fertiliser to flowering perennials and annuals every two weeks and pinch out growing tips to encourage bushy growth. Repot ferns into fresh potting soil and start feeding them every two weeks with a liquid fertiliser mixed at half-strength. 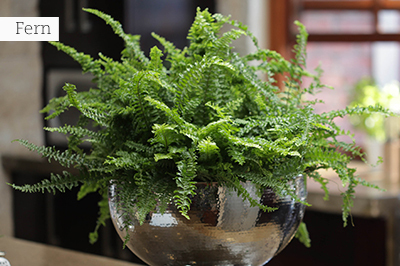 Place house-plants like orchids or ferns that love humidity in the atmosphere, on pot trays filled with gravel and a little water. Do not let the base of the pot stand in water, or the plants will rot. 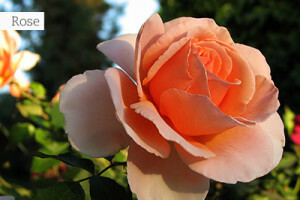 Although roses dislike disturbance around their roots while growing actively again, they do not mind the presence of a living mulch, like a few dainty ground covers and perennials, to add more colour and romance to the rose garden. Bright colours and flowers to add now include creeping Jenny, Geranium incanum (cranesbill), snow in summer, chives, brachyscomes (different hybrids in the range), bindweed (Convolvulus), Iberis sempervirens (candytuft), lobularia, scabiosa (corn flower) and Viola odorata (sweet violet). Before renewing the spring mulch around Clematis, apply some agricultural lime to enhance the performance of plants growing in acidic soil conditions. A standard cup full is adequate for young plants, whereas mature plants older than five years will benefit with two cups full. Feed them throughout summer with monthly applications of a water-soluble foliar feed which is high in potassium. Freshen up garden containers containing specimen plants like lollipop standards, by pruning them neatly once again to maintain a round shape. Plant some bright red bedding begonias around the stems this month and you will have a great festive look in December. Flat-growing ground covers like Dymondia margaretae (silver carpet) which grows so well in this region but can become a bit patchy during winter, can be renewed in the following manner: Use a bulb planter or an old tin (both top and bottom removed), to cut out the pieces of dead growth in a carpet of ground cover. Fill up the holes with fresh compost (to which a little bone meal was added) and plant new plugs which are available in trays, or which you have taken from another overgrown and healthy patch. Do this with other flat-growing ground covers too. Prune Euryops virgineus (honey marguerite) and all the Buddleja species as soon as they have finished flowering. Use the prunings to make cuttings. 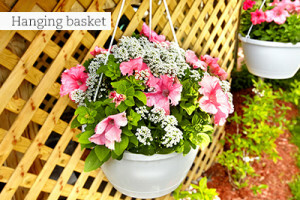 Add water-retention granules to hanging baskets and remember to water them regularly. Top-dress containers with rooibos tea mulch, peach pips or pebbles to keep the soil moist between watering. Clean out bird feeders and bird baths – remember to fill the latter frequently with fresh water. Weed kill pathways and driveways with a broad spectrum weedkiller. Inspect all members of the lily family such as agapanthus, crinum, clivia, nerine, amaryllis and haemanthus for lily borer, a caterpillar which has transverse yellow and black bands around the body. They are most active at night and can be squashed by hand, or treated with a contact insecticide. Harvest the last avocados and plant a last crop of young strawberry plants. Remove spent flowers from spring bulbs and annuals and stake perennials awakening from their winter sleep, as their stems become longer. Keep on feeding all garden-flowering and container plants with water-soluble fertiliser. In the rose garden and orchard, remove any growth sprouting from below the graft on the mother stock, on which a variety was inoculated. Keep on watching new growth for aphid infestation and destroy them immediately. 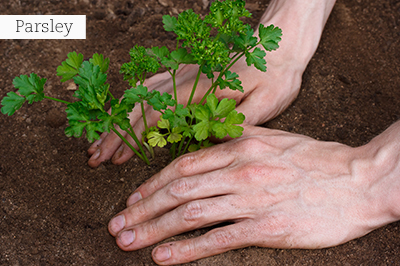 After the first spring rain, apply mulches around all shrubs and trees to conserve moisture in the soil around them. Plant more potatoes and fertilise those which have already started growing. Stake climbing beans and sow sweet corn, all the pumpkin types and squashes, cucumbers, melon and bush beans. Buy and plant the seedlings of tomatoes, eggplant and chilies. 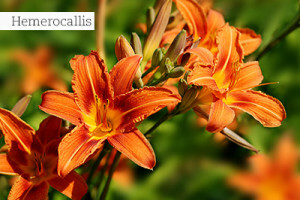 Great summer plants which can tolerate brackish water are Limonium perezii (statice), daylilies (Hemerocallis), agapanthus and Acanthus mollis (bear’s breeches) for shady areas. Prune flowering peaches, almonds and ornamental quinces as soon as they have finished flowering. Sow sweet basil and coriander and plant asparagus crowns. October is the ideal month to remove Cat’s claw creepers and Tecoma stans. These invaders are causing unbelievable problems in the Lowveld and are taking over our indigenous flora. 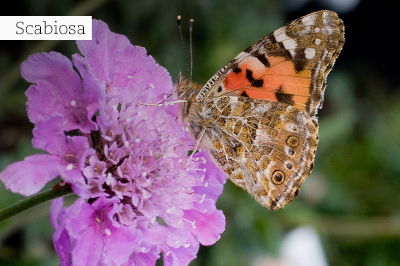 Prepare for high summer temperatures by planting brightly coloured, heat-loving flowers such as vinca, portulaca, gazanias, geraniums, pelargoniums and scabiosa, that also lure butterflies into the garden with their sweet nectar. Step up watering of rose bushes to three deep soakings a week and continue with your feeding programme to ensure optimum blooming. The weeds come into their own now too, and it’s best to keep them pulled up and out while they’re still young and manageable, and before they multiply into seed. Mulching is the best water-wise method to help keep their numbers down. Gardening in shady areas can prove to be tricky. Begonias fill that gap beautifully, each plant producing masses of jewel-like flowers to brighten the darkest of corners. Get rid of broadleaf weeds in lawns by spraying with a selective weedkiller. Before spraying fertilise your lawn first, water well, wait two weeks and then spray for weeds. Repeat if necessary. Make sure your herbs get a minimum of 5 hours of sunlight to ensure optimum growth and feed them regularly with a water-soluble fertiliser. Roses are in full force in October, so plan a new rose garden or fill up an existing one. 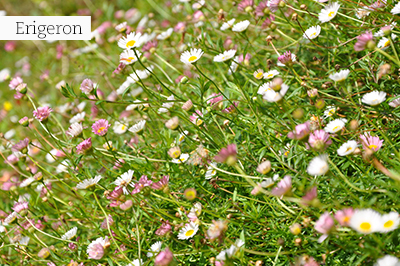 Plant a living mulch between your roses like erigeron, verbena or lobularia. Fertilise with a fertiliser formulated for roses and follow up every 4 weeks. Treat preventatively and correctively against fungi with a systemic fungicide. Do a light summer pruning at the end of October (prune 1/3 back) in order to improve flower formation in November and December. Water three times per week. Remove the last of your winter annuals which have faded and replace them with colourful petunias for sunny areas, and begonias or New Guinea impatiens for shady corners. Paint your pots. The style gurus recommend orange, lime-green or pink. Light blue is equally fashionable. Now, plant them up with the toughest and most graceful heat-loving plants like Aloe ‘Hedgehog’, Dazylirion wheelerii, Agave geminiflora and Elegia tectorum. Remember to sow watermelon and spanspek, the kids will enjoy them over the upcoming festive holidays.